Barite by TPN Global Business Co., Ltd.. Supplier from Thailand. Product Id 851158. We Supply Baryte Powder From India. Specific Gravities like 3.8,4.00,4.10,4.15 and 4.20. We would like to introduce ourselves to you as a big barite factory in China. 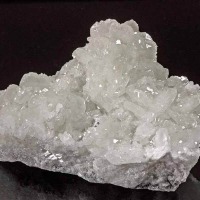 Our main mineral goods is barite, barytes, barite powder ,barite lump ,barite grain, white barite, barium sulphate precipitated , paint and coating barite, oil Grade barite, Pharmaceutical grade barite ,etc.